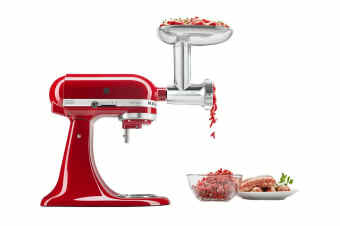 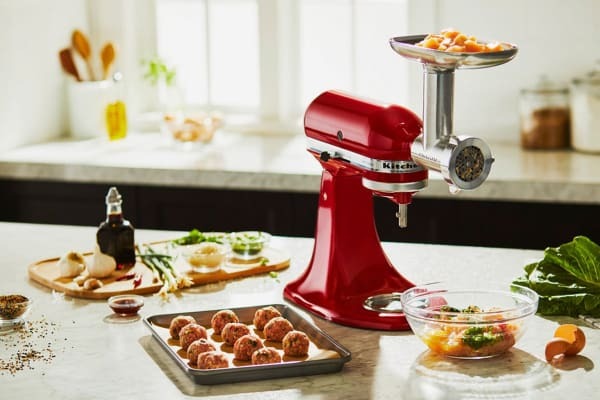 The KitchenAid Metal Food Grinder Attachment is designed to fit your KitchenAid Stand Mixer. 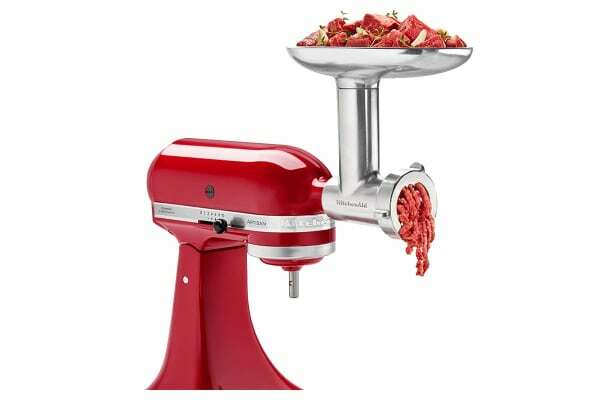 The durable, die-cast metal attachment does professional-grade work in minutes, easily grinding fresh beef, pork, turkey and chicken for burgers. With the included fine, medium and coarse grinding plates and two sausage stuffer tubes, the possibilities are endless to create a variety of fresh, inventive foods.